The Henry Art Gallery is a leading contemporary art gallery and part of the University of Washington. 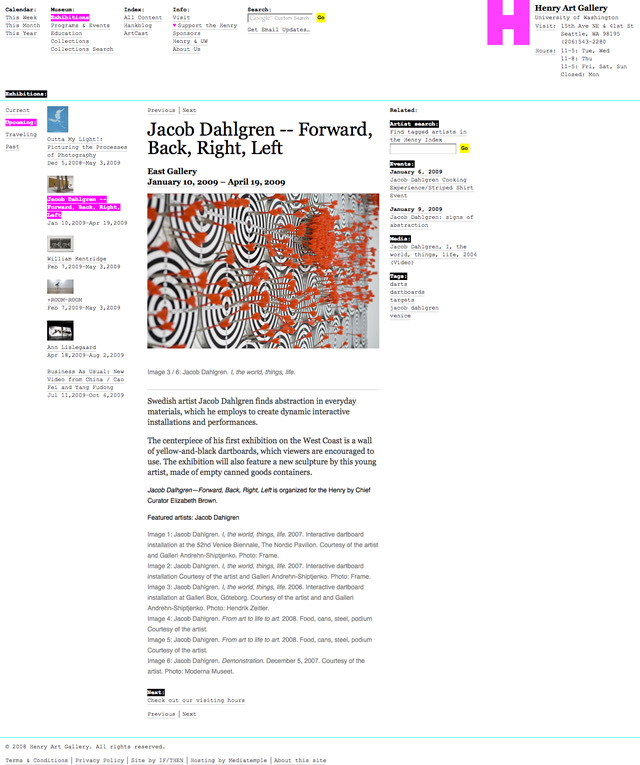 They needed a website that reflects their unique culture and and relevance in the art world. 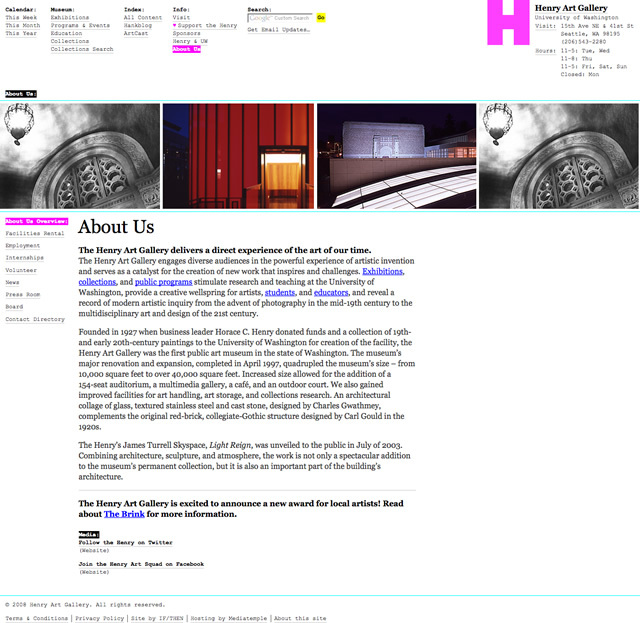 We worked closely with the Henry to re-define how a contemporary art museum website works. 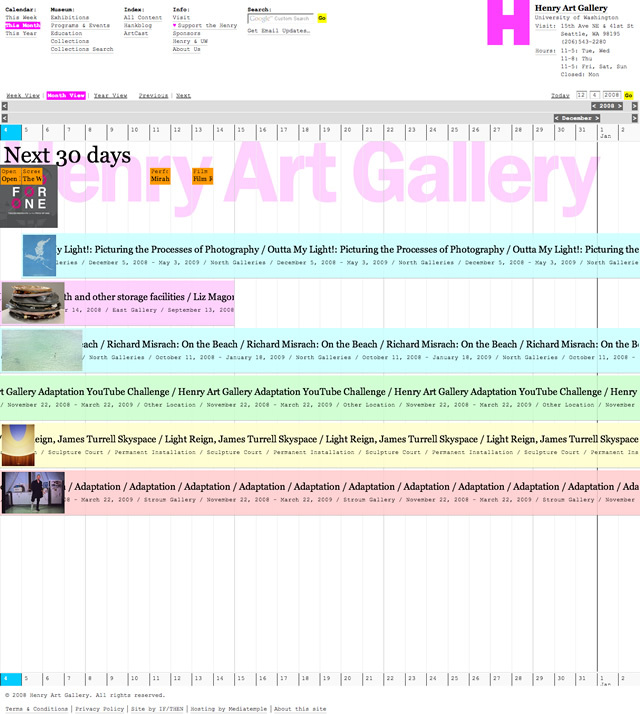 We designed a site that is aesthetically true the medium of the web by using basic HTML fonts and colors. 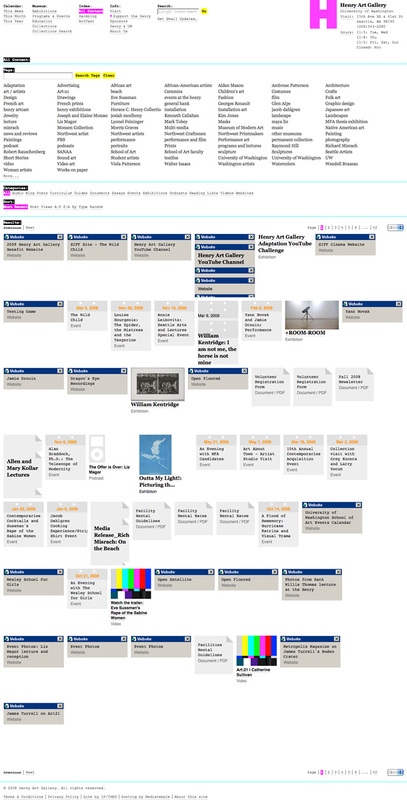 We developed an interactive timeline that is the primary interface to find content, and it allows the user to search exhibitions all the way back to 1927. 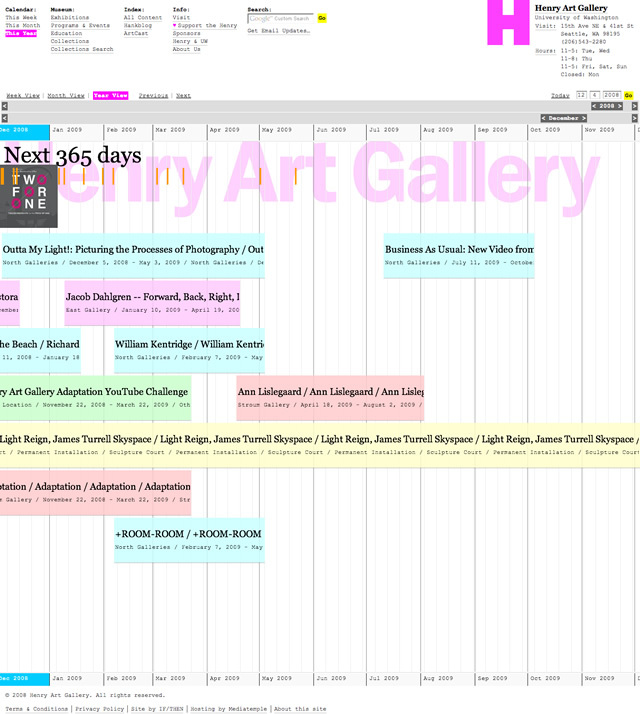 We included an online search of over 20,000 art objects in the Henry�s collection, and the functionality to add events to an Outlook calendar. The new site has generated a lot of conversation within the arts community, and we are currently planning new features for phase 2. Awarded Merit by Seattle Show 2009 for Information Design.